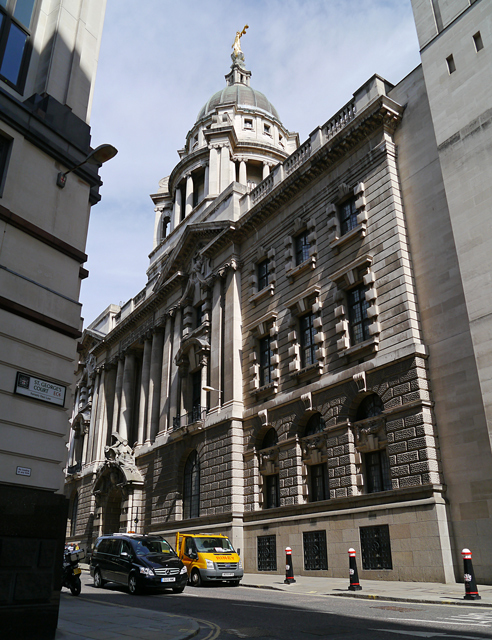 The Old Bailey is a great tourist attraction and the public can go in and watch a court in action. Cameras and phones are not allowed in the public galleries (jurors are allowed phones in the building), Mooch used the minding service of local travel agent Capable Travel to store his camera - other shops also do this. Notices are posted outside the main entrance of what cases are being heard in each courtroom, and this information is provide online with updates after 10am. 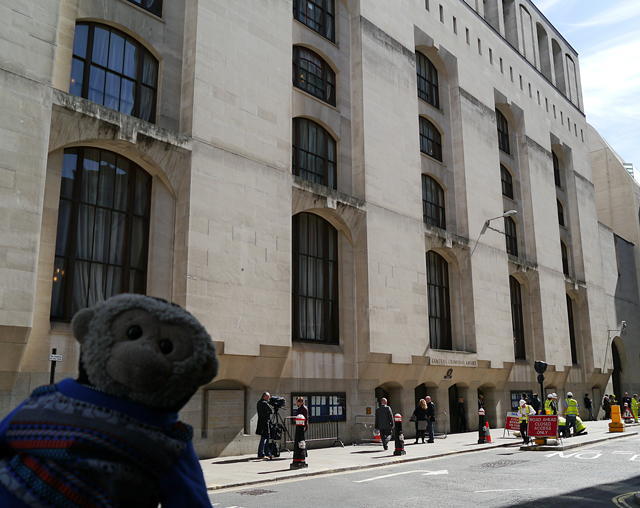 The Central Crominal Court occupies adjacent old and new parts of a building in the road called Old Bailey near St Pauls in the City of London. 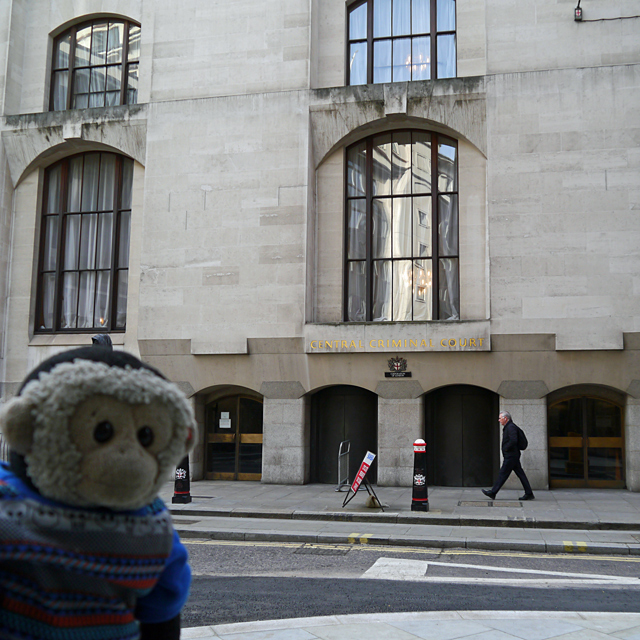 This is the famous main entrance to the Central Criminal Court in Old Bailey. When there is an important case the pavement outside the main entrance is often swarming with journalists, photographers and video crews. 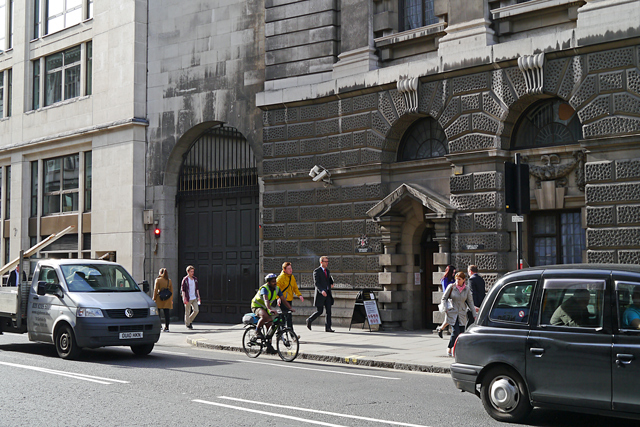 This is the public entrance to the older courtrooms in Newgate Street. Sometimes prisoner transports use the adjacent gateway. The court's buildings continue at the rear of the building. 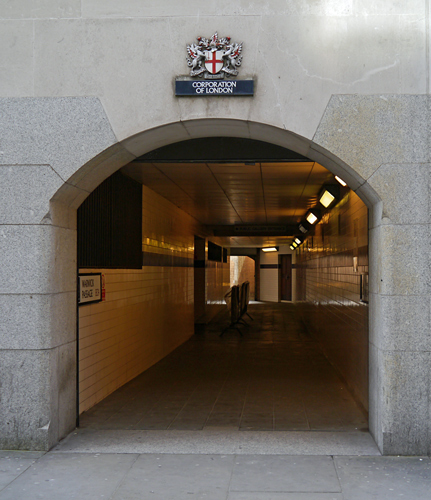 This is the Lord Mayor's entrance in Warwick Square. 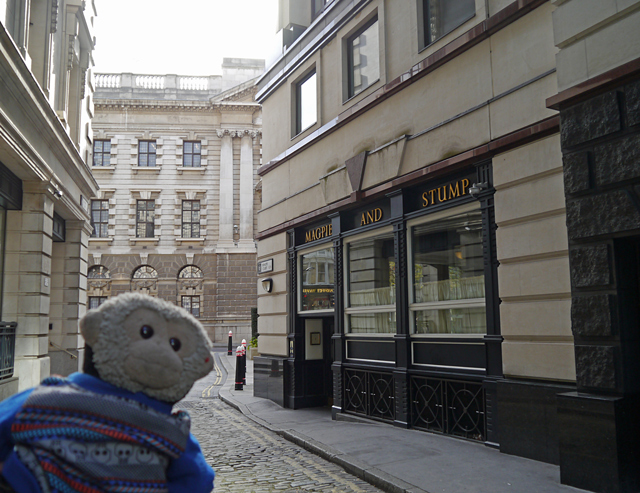 Opposite the court buildings in Old Bailey is the Magpie and Stump pub. 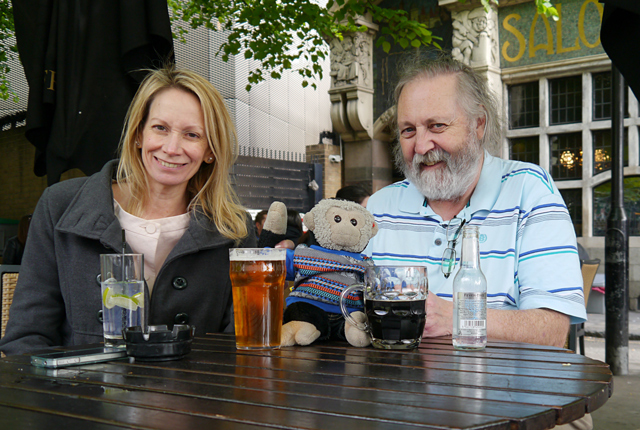 There has been a pub on this site for hundreds of years and it was a popular place to view hangings that occured outside the Newgate Prison. 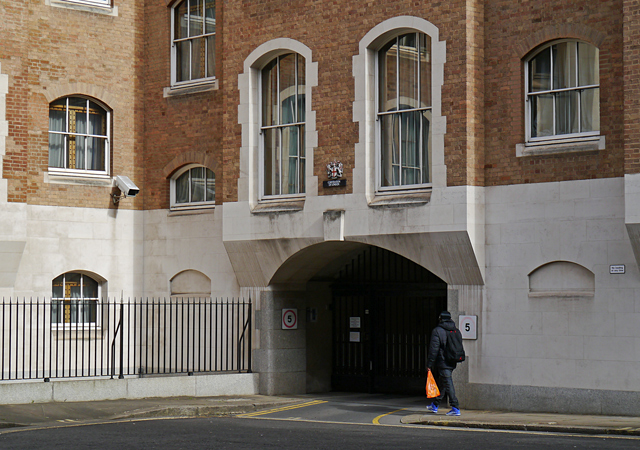 The public entrance for the newer courtrooms is in Warwick Passage, near the main entrance. 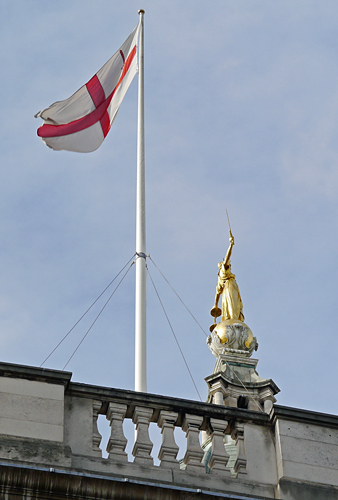 Above the courts flies the flag of the City of London, who own and run the building, and the statue of Lady Justice.